Exclusive! Not overweight, just undertall! 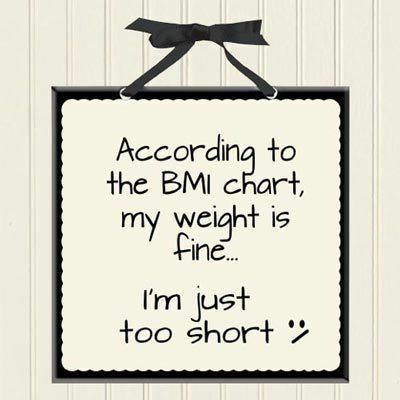 Witty words on our stylish ceramic BMI plaque with polyester hanging ribbon. Imported. 6" sq.